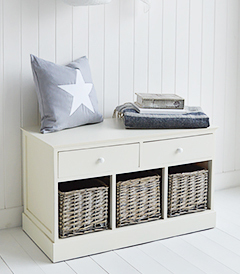 Create a hint of beachside living with white coastal home furniture and beach style accessories. You don't have to be living by the sea to enjoy the pleasures of beachside style. A simple model yacht brings the beach to your home instantly. 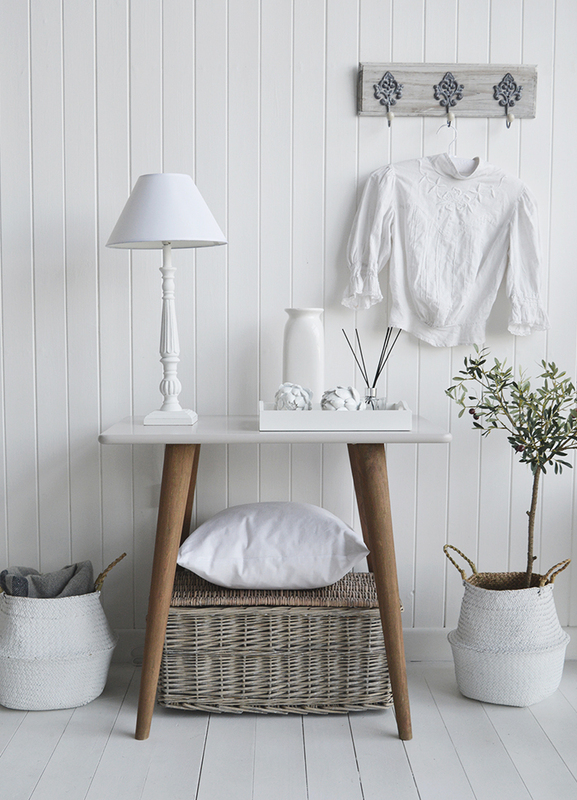 Driftwood coloured baskets are perfect storage solutions. 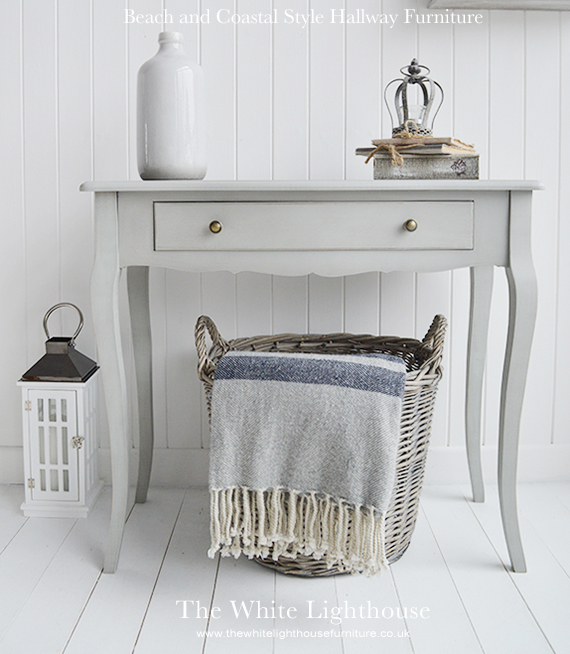 A lantern with a candle for subtle evening lighting!